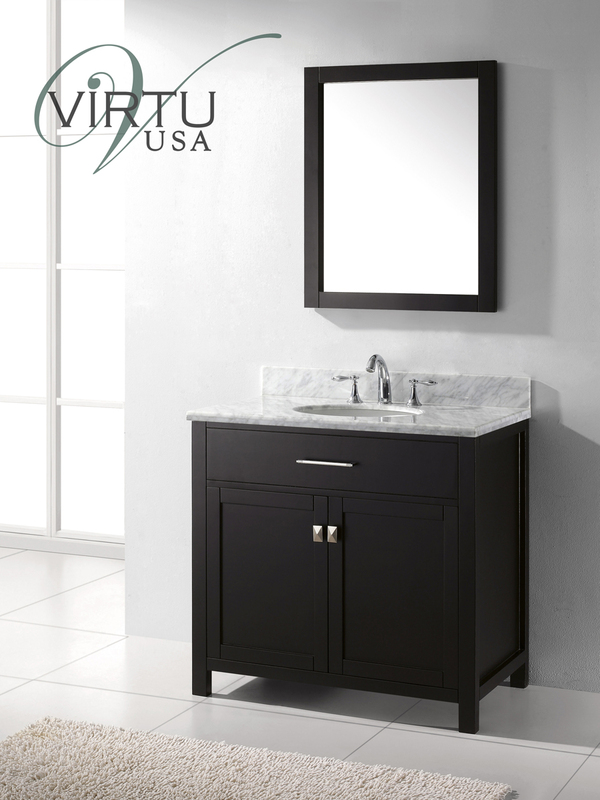 The 36" Caroline Single Vanity makes its mark with a clean, simple design that can easily fit right into any bathroom design. 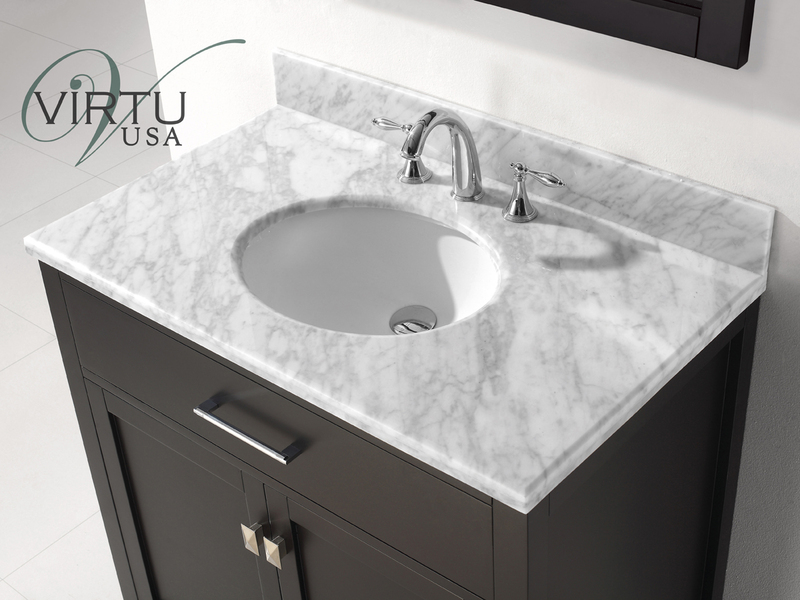 Featuring a cabinet made from solid oak and finished in Espresso, the Caroline Collection offers sleek, modern, yet classic styles that's complemented by its Italian Carrera White Marble Top. 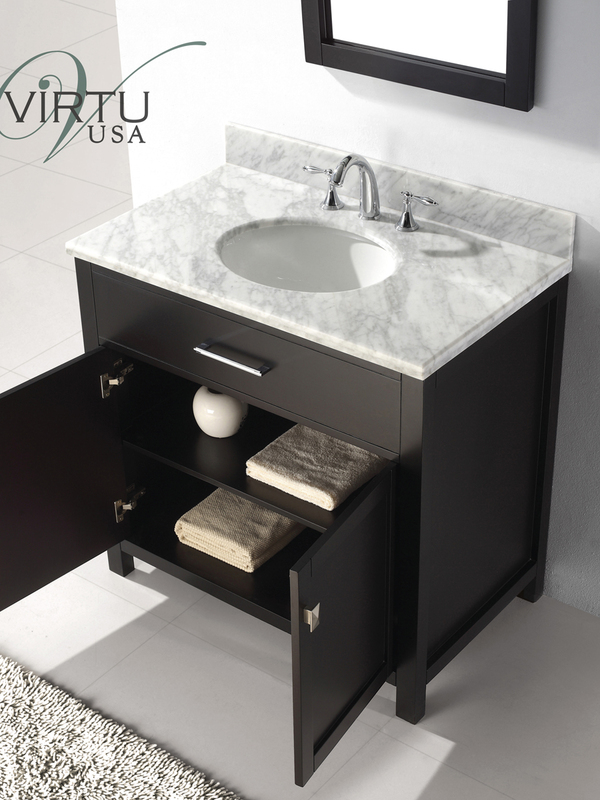 A matching mirror is included with the Caroline Vanity.